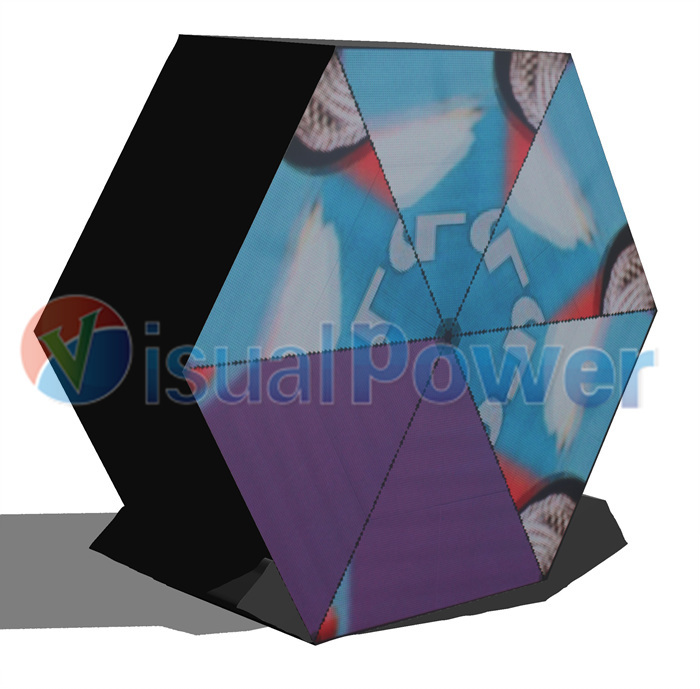 Hexagon shape led display/module is visualpower's newest and creative design. it can be used as a basic module to form different creative shapes. also depending on the size, it can be used individually as an umbralla shape display. Visualpower's design is not only flat, it is a 3D design. Any application and any shape you can imagine, it can do it. 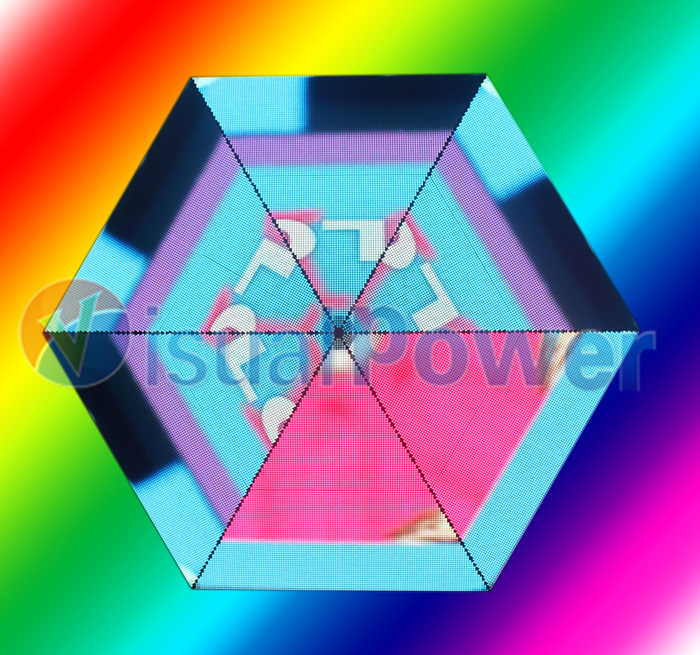 It is extendable and flexible, by assembling and arranging different quantities of such hexagon shape led module, you can form any shape you want. For instance, it can be used as the inner decoration of night clubs, hotels, restaurants, shopping malls, can also be placed on the square as an advertising tool. This design has indoor and outdoor version, and we can do different pixel pitch and size for custom projects.